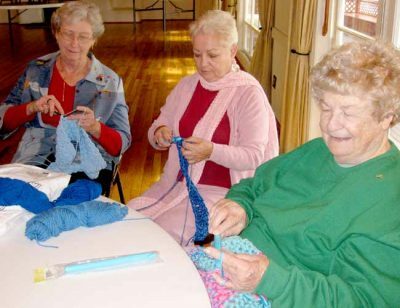 SWC Needle Nuts knit, quilt, and crochet blankets, hats, shawls, scarves, fingerless mittens, and afghans throughout the year to provide hand-made warm and cozy items which are presented to programs such as San Diego County domestic violence shelters, etc. Funds and hand-made afghans and booties given to Angels Foster Family Agency assists in the rescue of abused, abandoned, and neglected young children. Hand-made warm and cozy snugly items were presented to the “New Start Blankets” program, a project started by a member over ten years ago. SWC Needle Nuts members knit, quilt, and crochet hats, blankets, fingerless mittens, shawls, and afghans for donation to the Neo-Natal Unit at Scripps Hospital, Open Door Program for homeless teens in Sweetwater union High School District, and Hats for Troops. 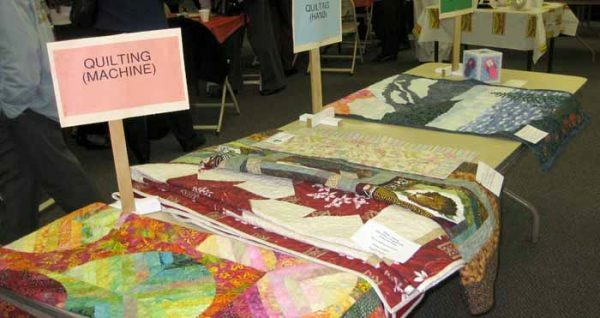 SWC Needle Nuts exhibit their crafts in the annual GFWC/CFWC Arts Festival. Our members have been blessed with some incredible talent!